Have you ever taken your ear buds out of your ear to interact with someone and forgotten to pause your music? Not only do you miss part of your song; you needlessly run down your device’s battery. 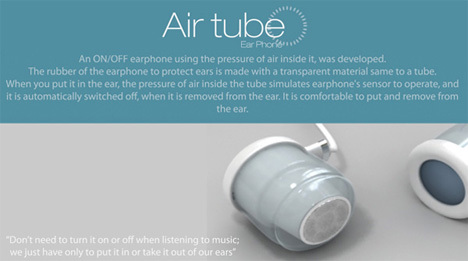 The Air Tube ear buds are a concept that would put an end to this irritating problem. 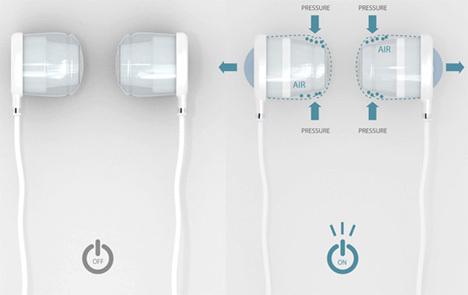 The Air Tubes are pressure sensitive ear buds that can actually tell whether they are in or out of your ears. When they come out, the headphones send a signal to your music player to power down. 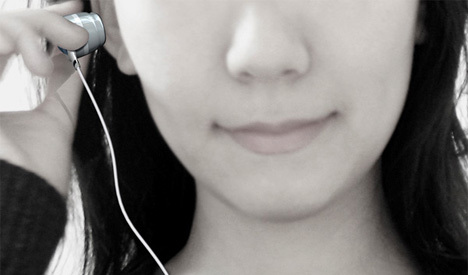 The next time you put them back into your ears, your device turns back on. It’s a simple concept, really, that someone should have thought of a long time ago. For now the Air Tube ear buds are only an idea – and a very, very good one – but our constantly-depleted iPod batteries would love to see them produced sometime soon.